The Golden Gate expansion is complete. See the construction photos below . Plans are under way to add a five-story building on the south end of the casino that will expand the property by 30,000 square feet and add an additional 16 suites. A new lobby and front desk, bathrooms, conference rooms and a high-limit pit will be parts of this expansion. 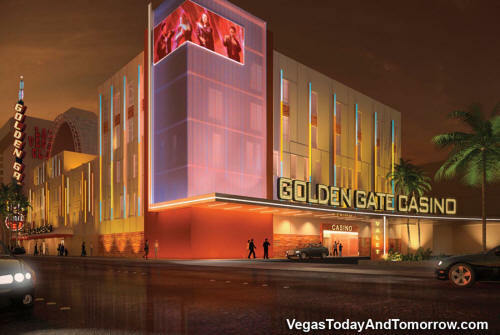 The rendering below is courtesy of the Golden Gate. 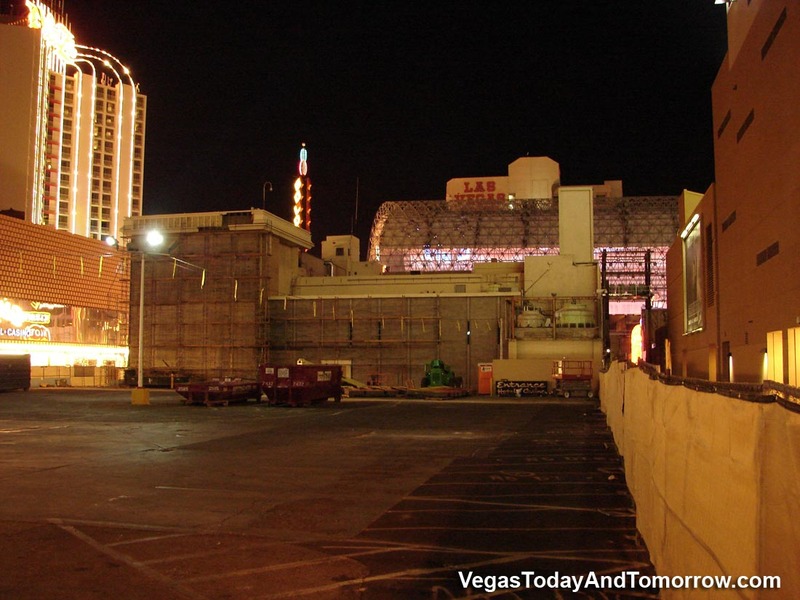 4/6/08 The new owners of the Golden Gate (Vegas' oldest hotel), have renovation plans for the 102-year-old property. According to the Review Journal, Derek Stevens and his partner Mark Brandenburg foresee transforming the 106-room hotel into a modest boutique-hotel, catering to their existing clientele. San Franciscan Art Noveau will be the overall design theme in the casino and public areas. Short term plans include new bathrooms in the guest rooms and converting the old coin slot machines to ticket-in-ticket-out. 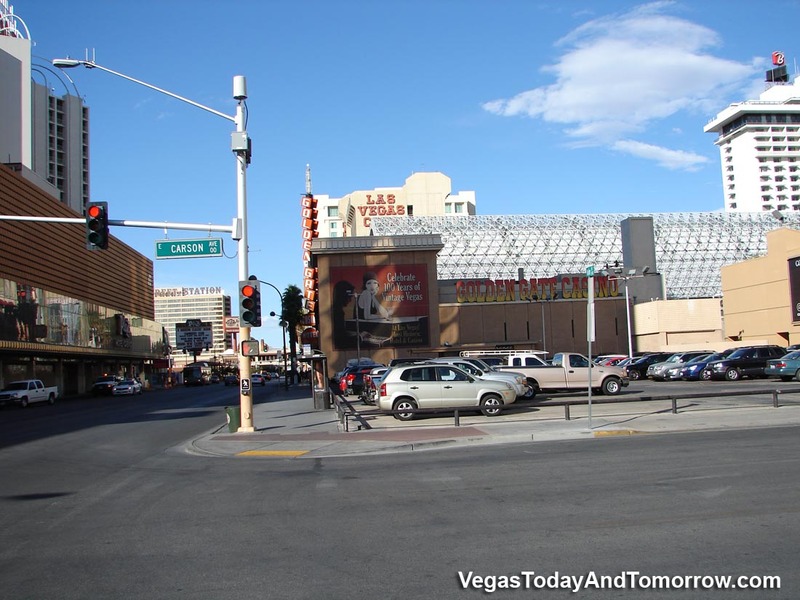 Long term plans include a complete remodel of the rooms and public areas, a new sign on Fremont St. and the possibility of an expansion (adding more rooms). Don't worry folks, Brandenburg has promised that the famous 99-cent shrimp cocktail will remain. 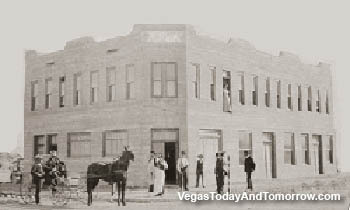 1906- The hotel opens to the public as "The Hotel Nevada", a small, two-story building. Room and board: $1 per day. With large (10' x 10') rooms. Amenities included: electric lighting, ventilation and steam heat radiators (no air conditioning). Original rooms with modern improvements are still in use. This was long before Hover Dam brought thousands to the town. 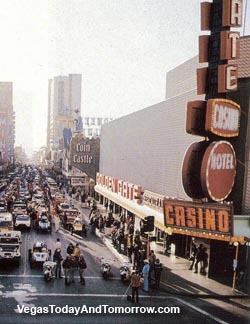 Las Vegas was just a whistle stop then and this was the first hotel. 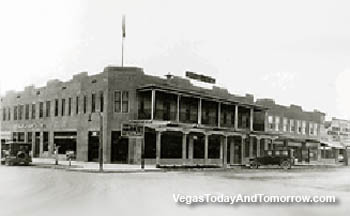 1907- Vegas' first telephone "Ring '1,' please." was installed at the hotel desk. 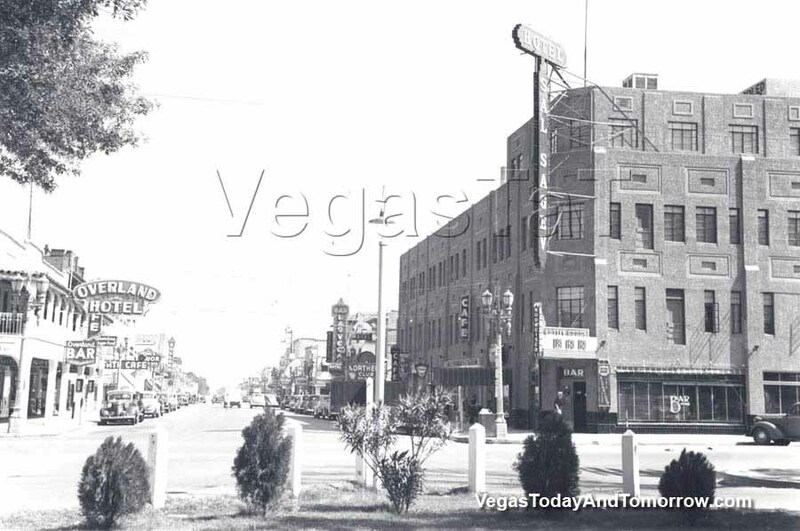 1925- The hotel was expanded and Fremont Street was paved. 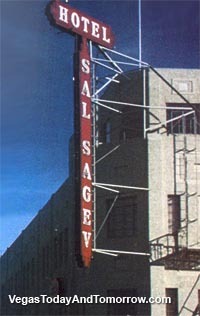 "Sal Sagev" (Las Vegas spelled backwards). 1932- A cooling plant was installed. 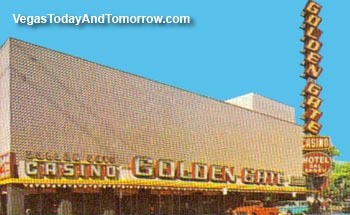 1955- Group of Italian-Americans led by Italo Ghelfi, came to Las Vegas to start Golden Gate Casino and remained the owners for 35 years. 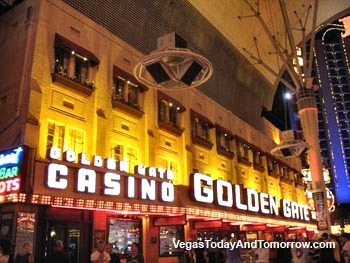 1959- Golden Gate brings the 50-cent shrimp cocktail to Las Vegas, starting a Las Vegas tradition. Locals vote it "Best of Las Vegas" year after year. The price has since risen to 99 cents. 1964- In an attempt to modernize the hotel, a metal-mesh screen was installed, covering (but not destroying) the historic facade. More rooms were added with another expansion, bringing the total to today's 106 rooms. A new mechanically animated sign was installed on the corner of the building. 1990- The new owners removed the mesh exterior and restored the building to a better than original condition, adding awnings and flowerboxes. 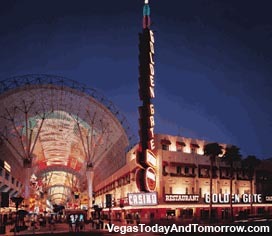 1995- Fremont Street Experience opens.